Following a three-week tour of Australia and New Zealand, it seems like Prince William had a strong case of the munchies! 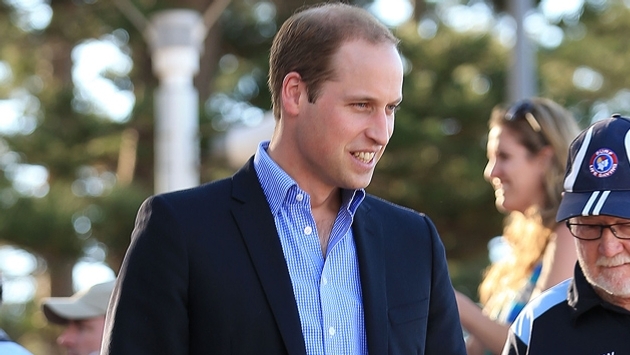 While traveling to Memphis, Tennessee to attend London nightclub owner and friend Guy Pelly's wedding, the Duke of Cambridge, 31, made a stop in Chicago where he grabbed a bite at O'Hare International Airport's Terminal 5. William reportedly enjoyed pulled chicken nachos from Hub 51 and chicken wings from RJ Grunts in a private Swiss Air Lounge, People reports. "A hostess and server from the restaurants took great care of him before he jetted off," an onlooker told the magazine. William, who recently celebrated his three-year wedding anniversary with Kate Middleton, will meet up with his brother Prince Harry, 29, in Memphis on Saturday, May 3, for Pelly's wedding. Harry passed through Miami for some post-breakup partying before their friend's big day. Which prince would you rather be in this scenario? Would you rather be the prince eating nachos or the prince partying in Miami?